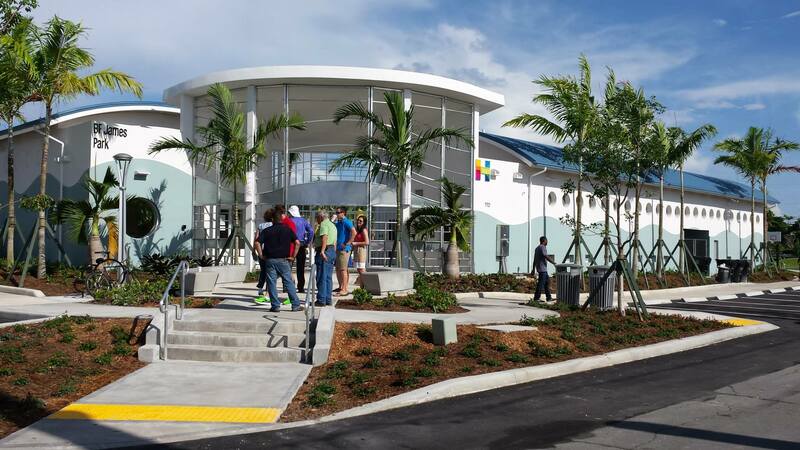 Architect: Bermillo Ajamil & Partners, Inc.
BF James Park is a 2.7 acre newly constructed recreational park for the City of Hallandale Beach. 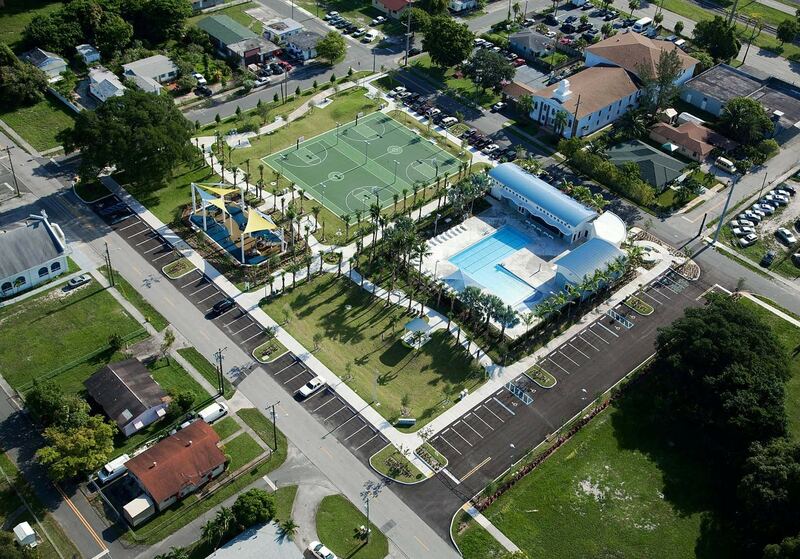 Nestled in the North West Quadrant of the City, one block west of Dixie Highway and one block south of Pembroke Road, BF James Park is the second park of the City’s Master Parks Plan to reopen after a complete redesign. 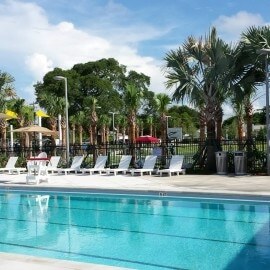 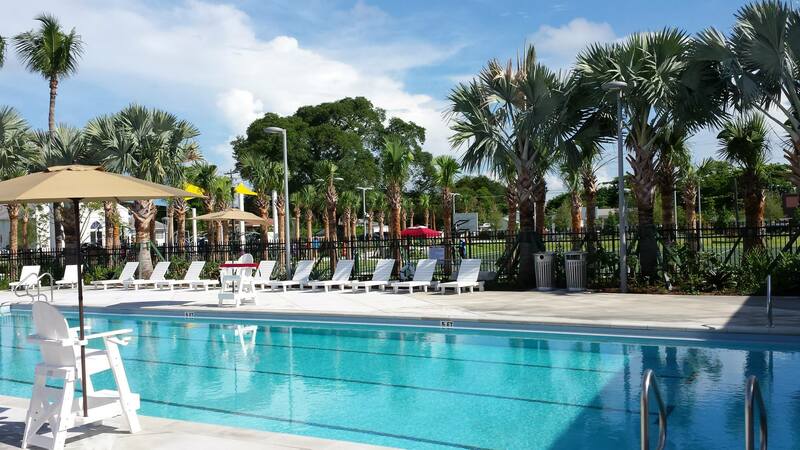 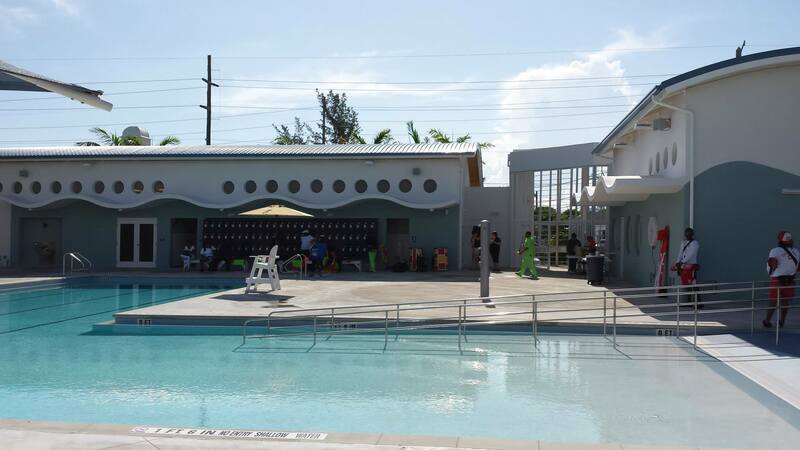 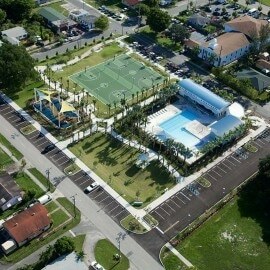 The 4,162 square foot facility features a zero-entry swimming pool, two lighted basketball courts, a fitness trail with exercise stations, state-of-the-art playground with shade covering and rubberized surfacing, covered picnic area and restroom facilities. 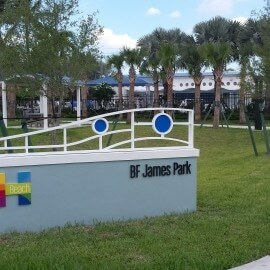 BF James Park also consists of a 3,815 sq. 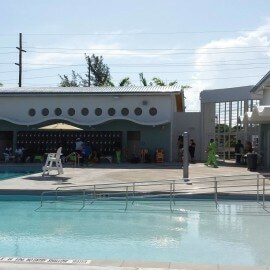 ft. ticketing office and lifeguard station. 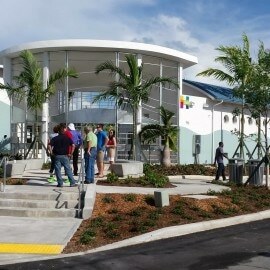 The majority of the building’s floor area is naturally ventilated complemented by open air circulation spaces, open air restrooms, and a contiguous roof. 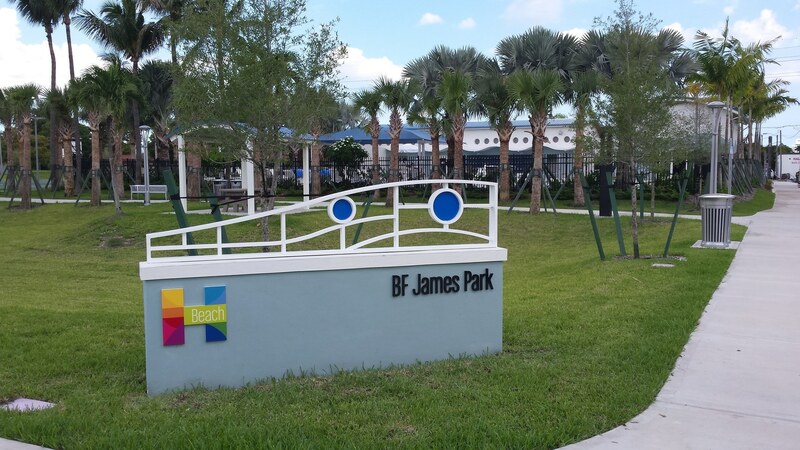 NuJak partnered with the architectural firm, Bermillo Ajamil & Partners, Inc. to build the iconic BF James Park. 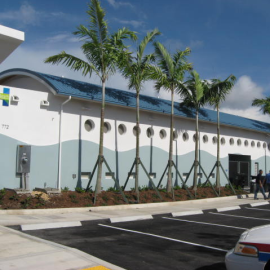 Our dedication to work with local small business enterprises produced a 61% participation rate with local companies. 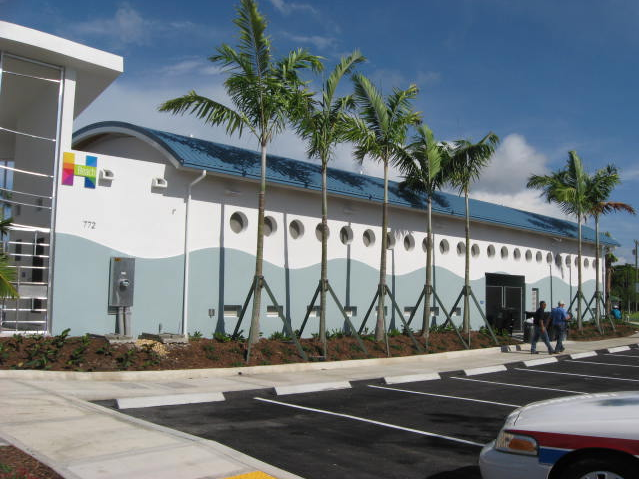 In collaboration with sustainability consultants, The Spinnaker Group, the project received Gold LEED certification.